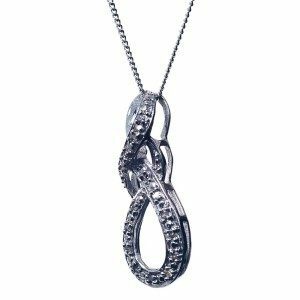 Infinity Diamond Pendant Necklace Only $16 Shipped! You are here: Home / Great Deals / Amazon Deals / Infinity Diamond Pendant Necklace Only $16 Shipped! What a gorgeous piece just in time for Valentine’s Day! Infinity Diamond Pendant Necklace Only $16 Shipped! Perfect gift for the woman you love or that special gift for your daughter or friend. Don’t miss out on this deal!